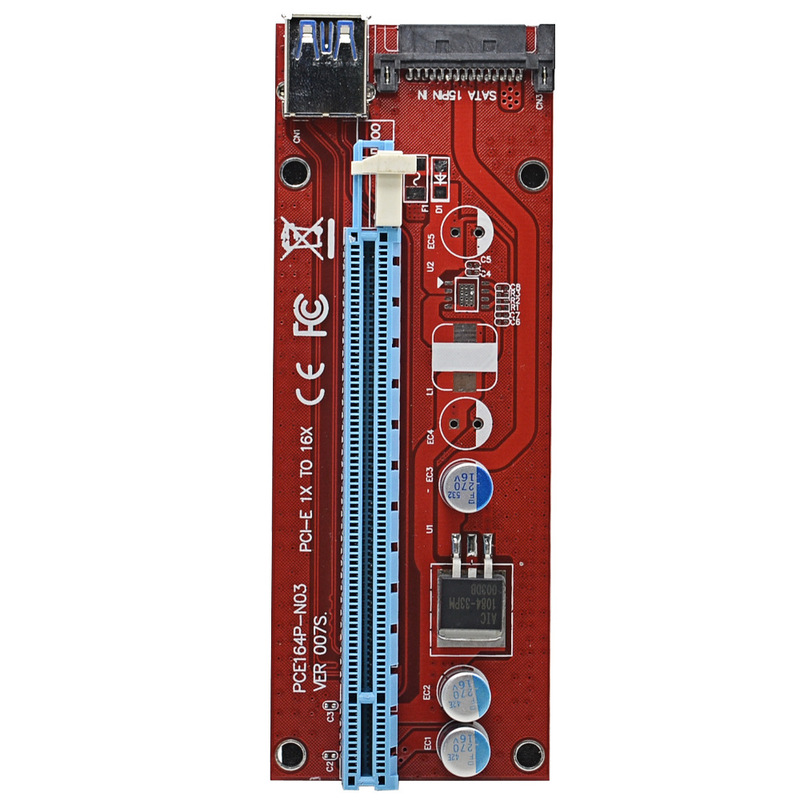 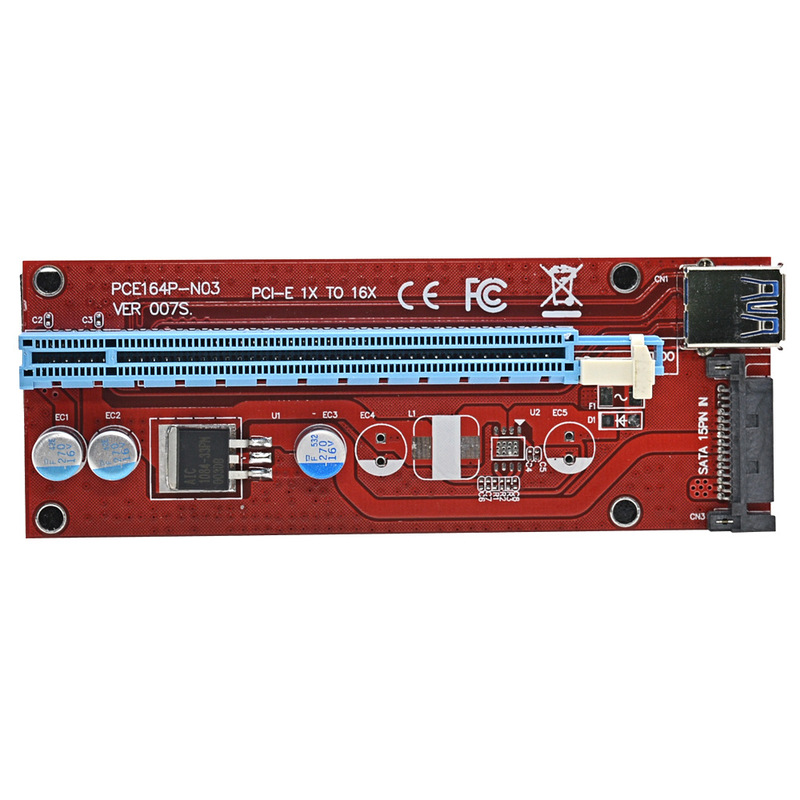 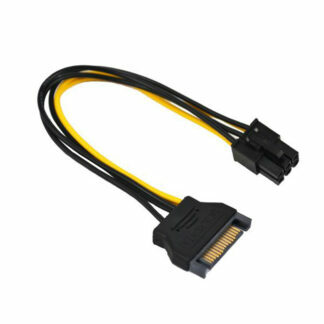 The PCI Express Riser 007S Extender Card Adapter SATA is meant for installing a GPU. 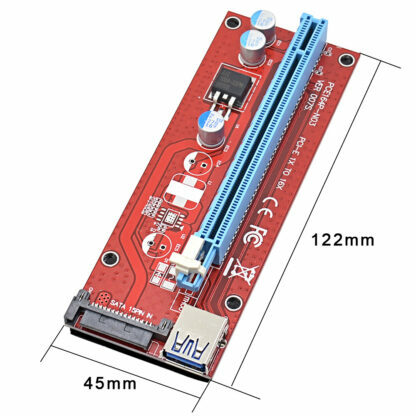 When your mining cryptocurrency PCI Express Risers are perfect to install multiple GPU’s into your mining rig. When you have connected the GPU on to your PCI Express Riser you must plug the USB Cable and install the x1 slot onto your motherboard. 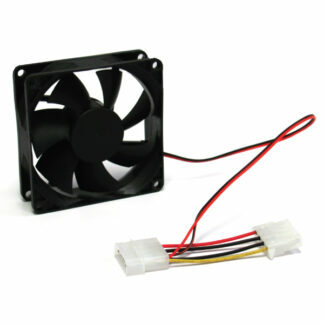 Make sure you add a PSU which has enough wattage to feed your mining rig. 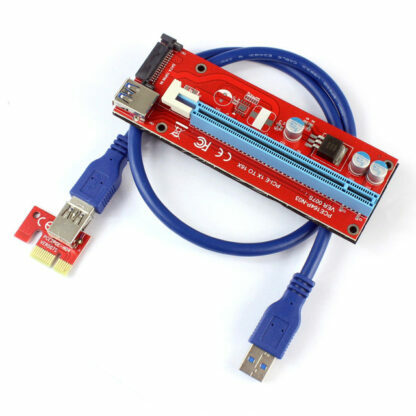 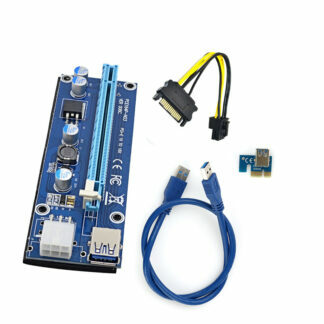 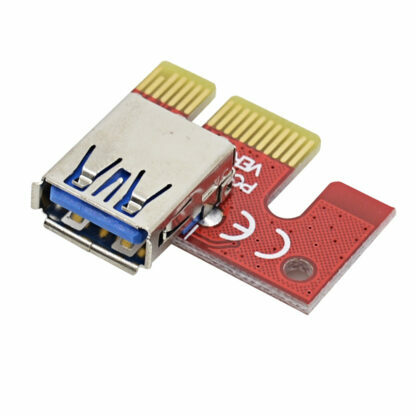 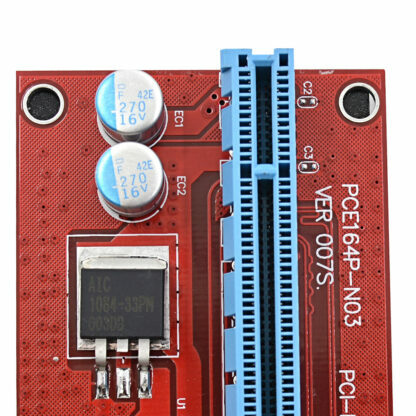 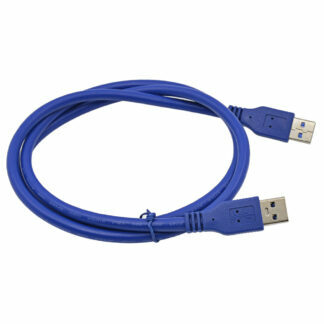 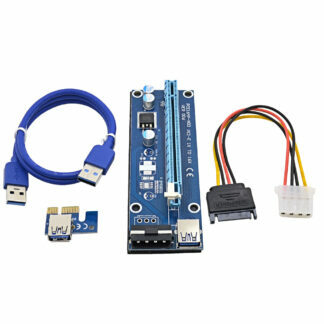 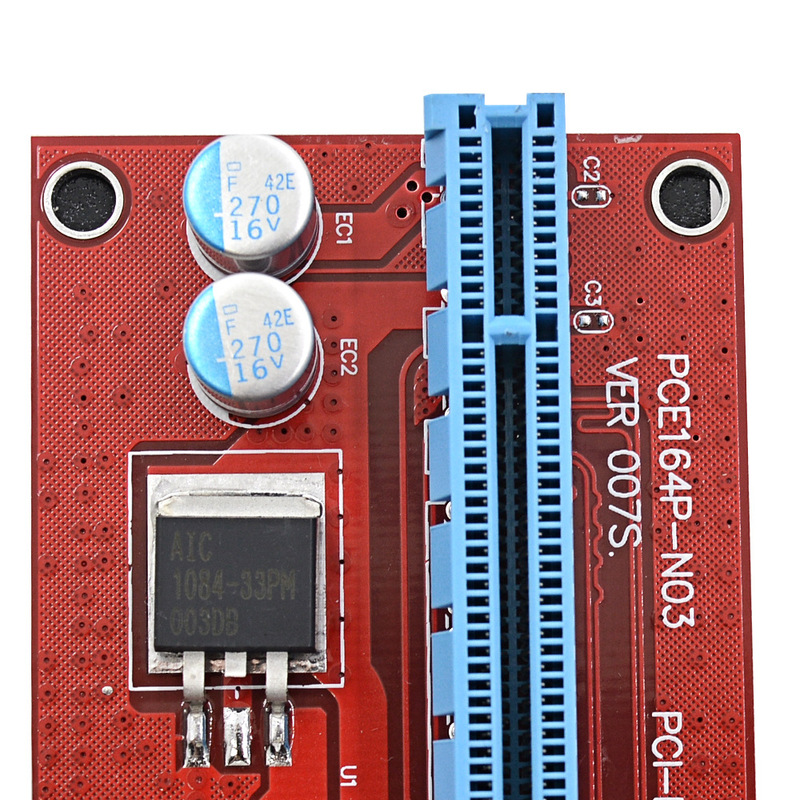 use the usb cable to PCI x1 to connect to your motherboard. 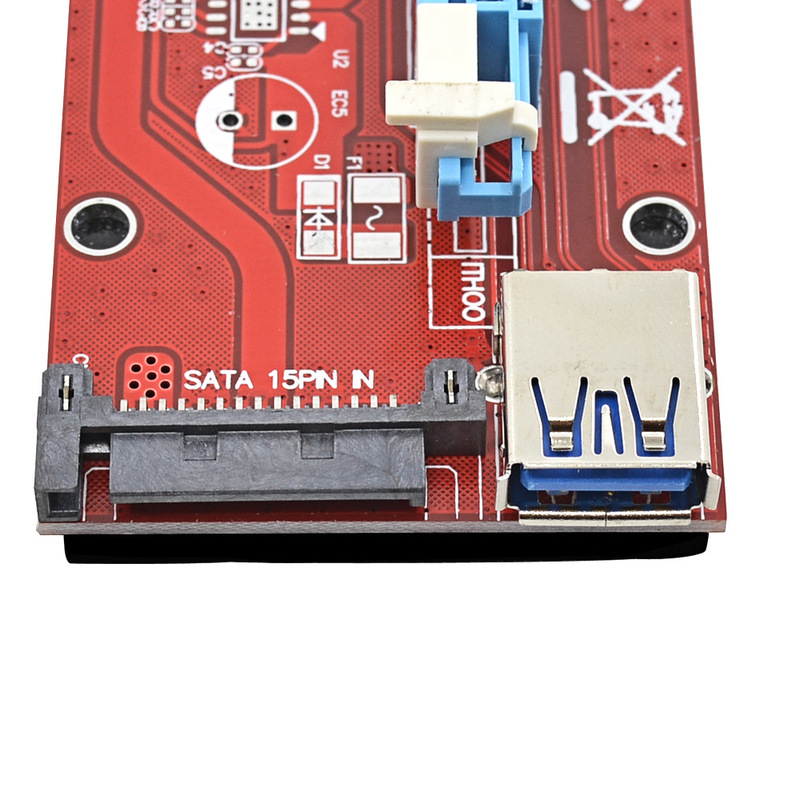 Because of the extra space your GPU’s stay cooled which will result into more hashrate thus more profit.